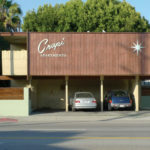 The Los Angeles Forum for Architecture and Urban Design’s Dingbat 2.0: The Iconic Los Angeles Apartment as Projection of a Metropolis, published in cooperation with DoppelHouse Press, brings into careful consideration the Dingbat, L.A.’s signature modernist-era multifamily apartment typology. 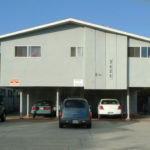 Dingbats dot the city, offering an affordable, though spartan, landing pad for many new comers. 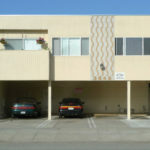 These simple two- to four-story apartment buildings are stucco-clad boxes raised above requisite parking, bedazzled by the atomic-era ares and starbursts that give dingbats their colloquial name. 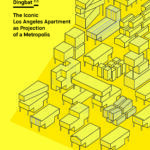 Edited by Thurman Grant and Joshua G. Stein, Dingbat 2.0 wraps between its bright yellow covers the thousand lines of inquiry launched by the 2010 competition of the same name. 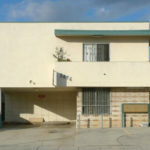 Organized like an exhibition monograph, the book is part collection of critical essays, part “field guide” to a quirky and ubiquitous typology, and one more part still, a forum for speculative proposals of new urban housing. 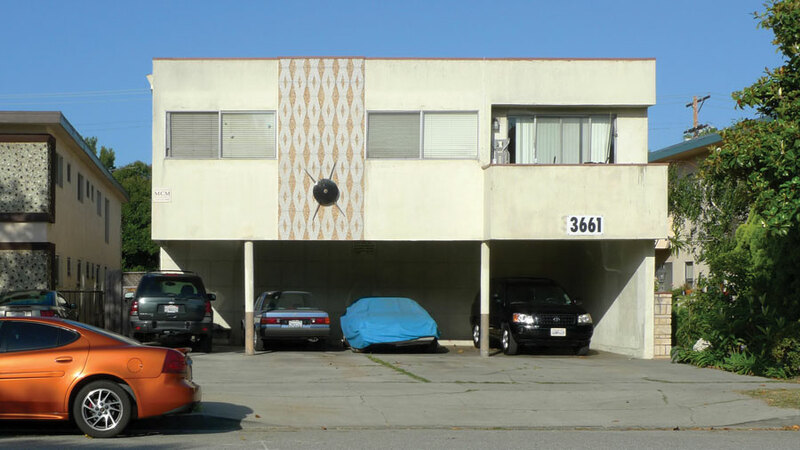 In an essay that could be its own book, Aaron Betsky looks at the typological roots of the Dingbat, claiming it as the modernist offspring of L.A.’s bungalow court apartments whose layouts cloaked multifamily dwelling in the vocabulary of the grand Spanish colonial hacienda. 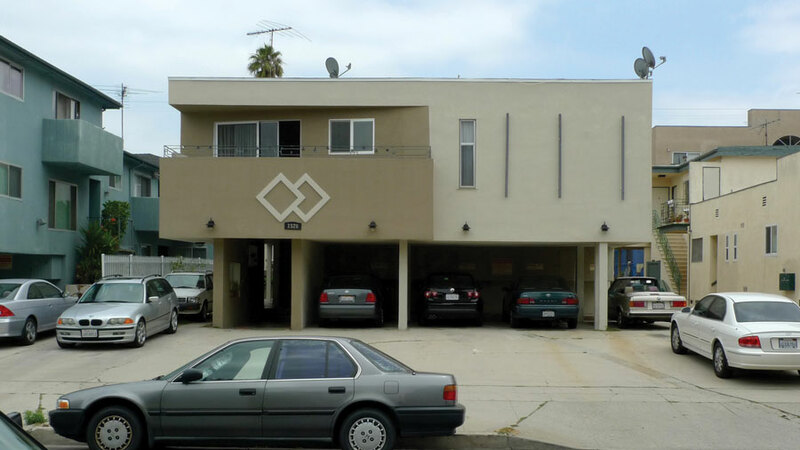 Betsky postulates that the genesis of the Dingbat lies in its qualities as an aspirational architecture, a stopping point between hometowns of the past and the arcadian pastures of the future. 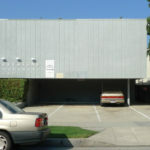 Architect Barbara Bestor sites recent interest in the Dingbat as a resumption of the critical rebuttal L.A. artists made to architectural high modernism in the 1960s and 1970s by appropriating local vernacular. 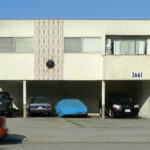 Meanwhile, Steven A. Treffers delves into the interior, showing unit plans by prolific Dingbat architect Louis Katzman. 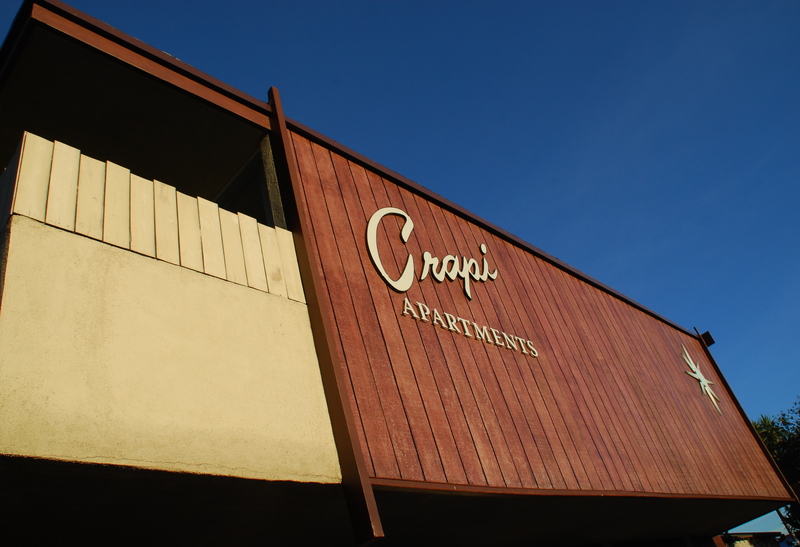 By supplying these drawings and a few lengthy quotes by fellow designer Jack Chernoff, Treffers’ essay becomes the most novel work in this collection, finally putting names to a type often described as “generic” and driven by real estate metrics. 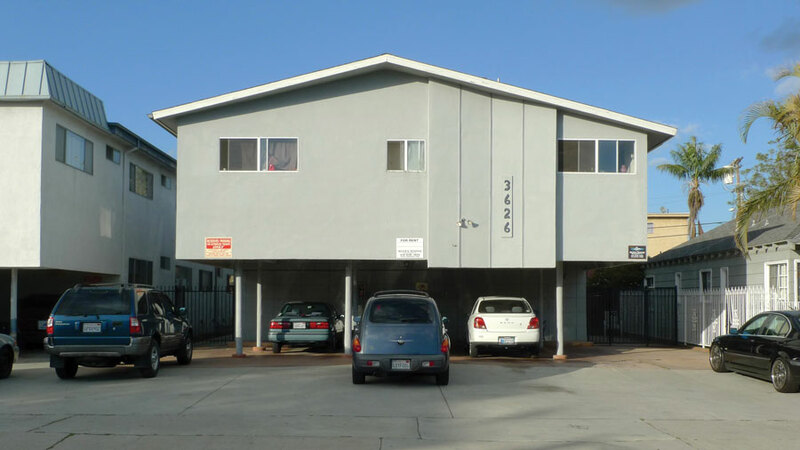 Treffers locates the Dingbat as a ladder for economic opportunity used by its denizens and the small-time developers who utilized the creation of multi-family dwelling as an investment vehicle, a mutually beneficial road to wealth that has since disappeared. Though very compelling, too often, the collected essays make obligatory references to past Dingbat observers, Reyner Banham chief among them. 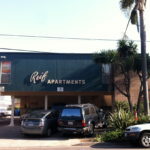 The collection could benefit from a round of coordination among the essays to reduce these redundancies. 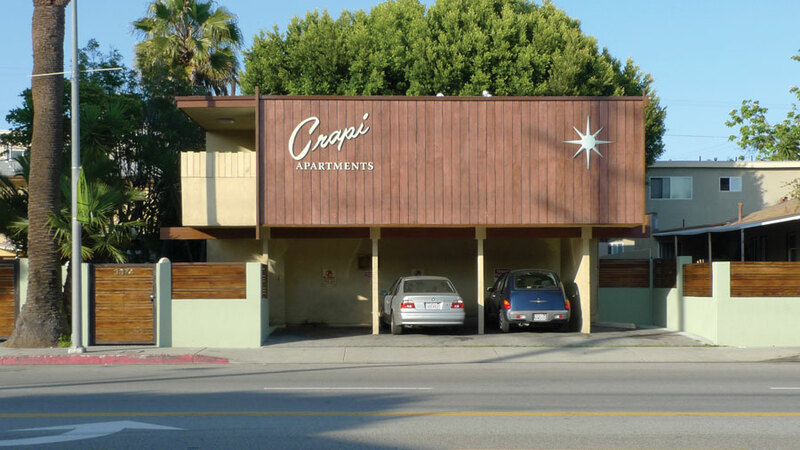 The book’s central matter, the aforementioned “field guide” to Dingbats, will change the way you see L.A. 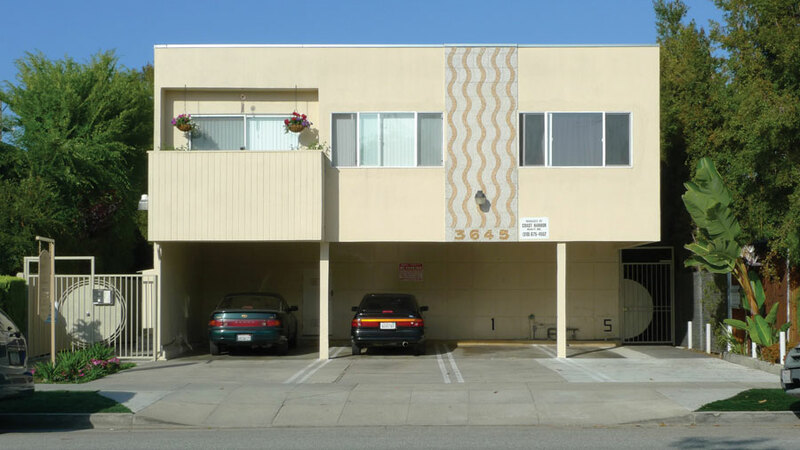 This section again defines the Dingbat, but does so more traditionally: By breaking down the many manifestations of the typology as well as the Dingbat’s prototypical features, like carports, facades, and decorative tchotchkes. 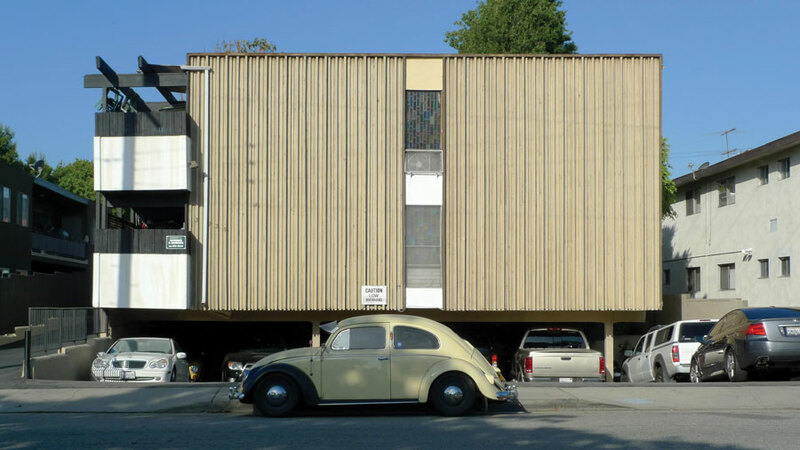 Cutesy, catchy names are applied to each variation as well: Buildings that have parking dispersed between the front and back facades are halfbats, those on corner lots with two primary facades are sidebats, those on hillsides are hillbats, and so on. 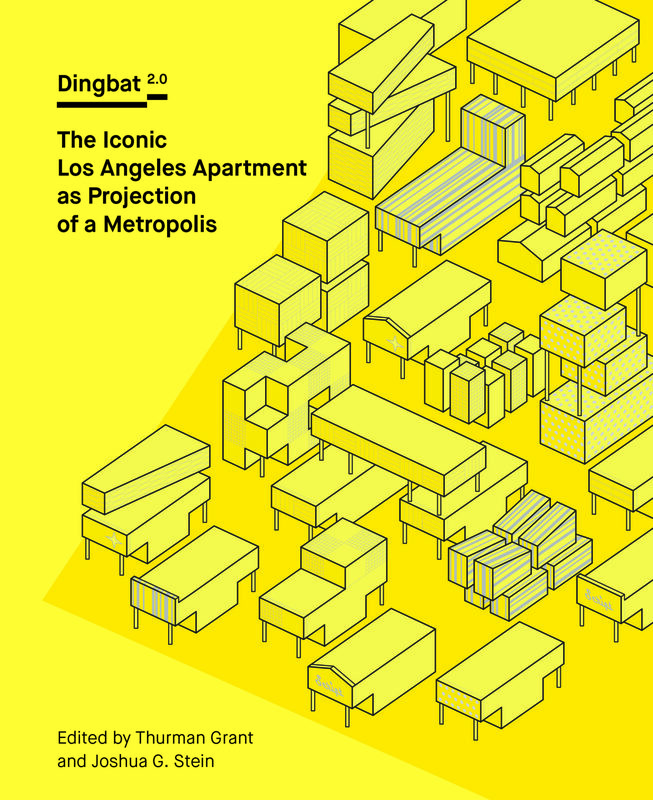 The succeeding exploration of Dingbat-influenced types developed after the Dingbat fell out of fashion is icing on the cake for those looking to this book for an exhaustive, scholarly resource. 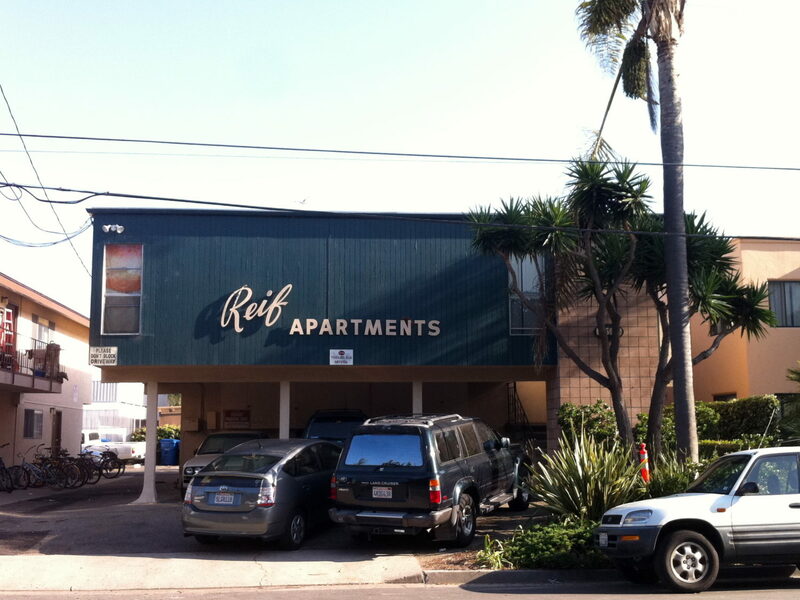 What’s missing is a work explicitly comparing Dingbat unit types to the plans of other housing types in the region. 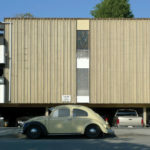 A section featuring “micro-modifications,” with photos by Paul Redmond and commentary by Joshua G. Stein, offers a refreshing and intriguing view into everyday residents of these structures. 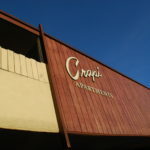 Casual, cheerful photographs and interviews depict, at least among those featured, an appreciation for the type as a simple and almost semiotic dwelling in a diverse city lurching through a simultaneous housing crunch and economic boom. The book also contains jurors’ critiques of winning entries from the 2010 competition as well as text from several panel discussions held in conjunction with the contest. These seem out of place in what is otherwise a forthright and unfocused (in a good way) analysis of an existing condition. This section would work better as a slimmer and secondary supplement to the more rigorous—and frankly, more interesting—Dingbat histories. 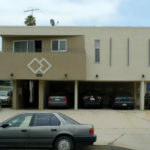 Overall, Dingbat 2.0 finds hope in the Dingbat as a rediscovered icon of multi-family dwelling synonymous with Southern California. 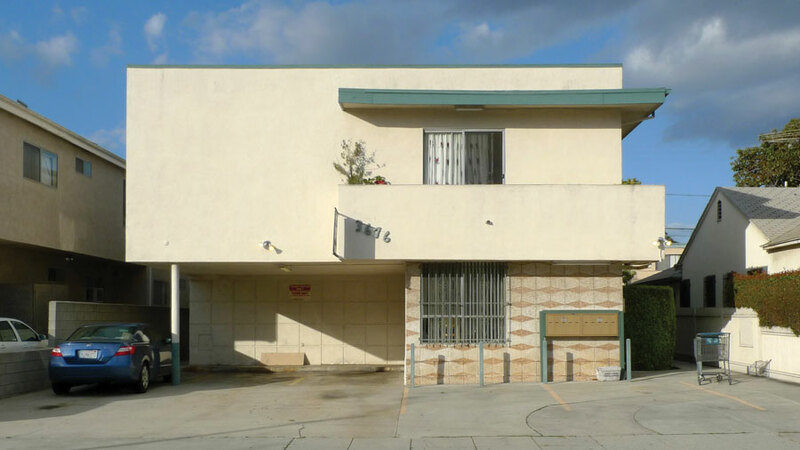 The relevance of this publication comes as Los Angeles’s place in what is now a global housing crisis comes into sharp relief, and the nature of architectural and civic discourse changes to address this rising concern. 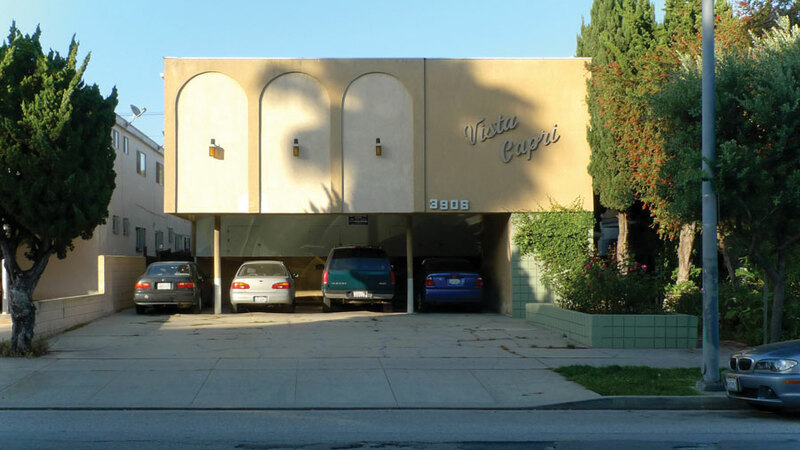 Assuming that all Angelenos live (or want to live) in single-family homes is perhaps one of the most persistent urban legends associated with the City of Angels. 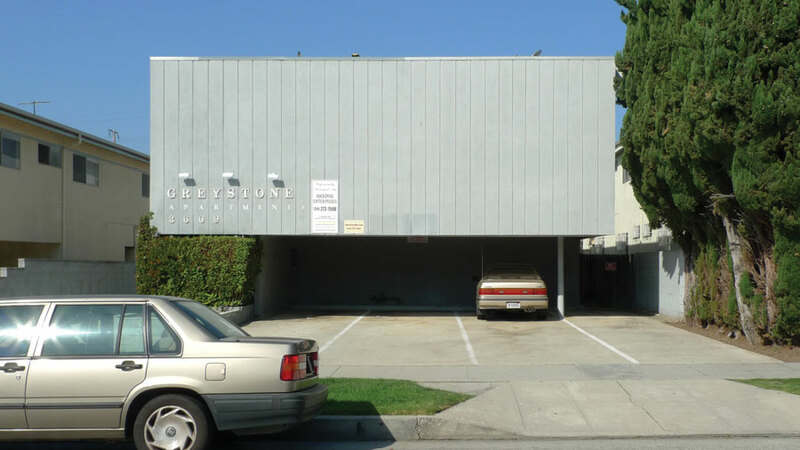 Dingbat 2.0, in contrast, places density at its forefront, asking us to take a look backward as we begin to consider the future of a more openly multi-family, vertical megalopolis.